Is there ever a time when you just miss seeing your loved one’s face? Is it easier to understand a person when you see them talking? Have you ever had trouble explaining what you are talking about because you are unable to show it? Well we have news for you. There have been exciting new developments when it comes to communication and technology. Aspire has been fortunate enough to receive four Echo Shows purchased from a grant given by Midco. 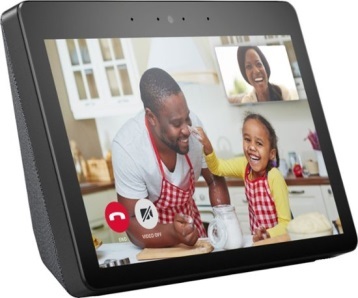 The Echo Show is an Amazon product with a built in screen and camera, which allows the user to call another Echo Show and be able to see each other. Echo Show has several microphones and beam-forming technology so it can hear you from across a room - even while music is playing. This technology has been useful in helping those we support to be more independent in their lives. It is as simple as saying “Alexa, call Cory” to be able to talk to their payee about their finances or “Alexa, call me a cab” to be able to get a ride lined up for work. This is only one of the many products available on the market today. The Echo Show costs $150 and all you need is Wi-Fi and a cellphone with smart capabilities. 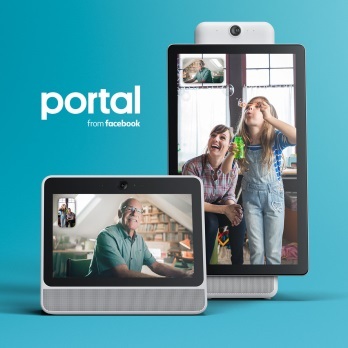 The newest version of video call technology is called Portal from Facebook. This is similar in many ways to the Echo Show; however, it does have smart camera and smart sound which follows your voice with the camera so you are never out of frame. Smart sound has the ability to minimize unwanted background noise. With this product you are also able to have large video calls with up to 6 different people. For added security the smart camera does use AI technology that runs locally on Portal, not on Facebook servers. Portal’s camera does not use facial recognition and does not identify who you are. To use this you would only need a Facebook account and Wi-Fi. It is easy enough to be able to call people through Facebook using the instant messenger like you could via cellphone or computer. The cost of this is $150-300 depending if you want the standard version or the larger screen option. Now for those of us that prefer not to spend a lot of money, it is nice to have the options of just using our phones or computer; for this we have used and been successful with Facetime (on Apple products) and Skype. These are both completely free to use as long as it is Facetime to Facetime or Skype to Skype. For this you only need your cellphone with the app or a computer with the program and internet. It is nice to see the faces of those we support when using any one of these pieces of technology. When they finally get to see that family member’s face for the first time in a long time, it’s priceless.